You will have read my post on my ceramic adult braces, so you'll know just how long I have wanted straight, white teeth. For years I felt ashamed of my smile, not just because it was wonky and my front teeth stuck out, but also because they were a bit yellow and it just meant I never smiled - like, ever. I'd tried pretty much every teeth whitening trick out there, from Crest strips to a Hydrogen Peroxide and Baking Soda paste, but nothing gave me quick enough results or long-lasting enough whiteness. Along came Enlighten Smiles to save the day. Having approached me to become an ambassador for the brand, I literally couldn't believe my luck, I even did a little dance on the train when I read the email. Not only did I finally get my wish, but it would be in time for my big day too! After a few back and forth emails, they recommended the brand new dental clinic near Watford to see me through my whitening treatment. 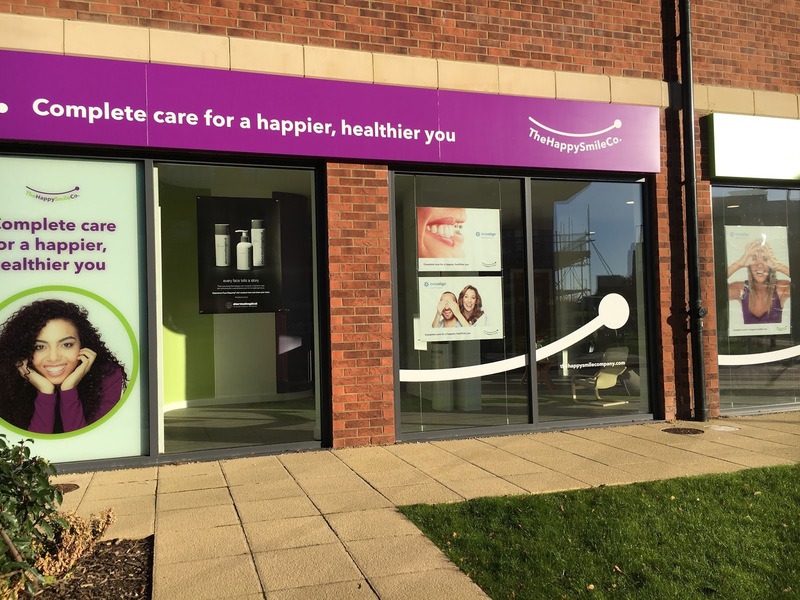 The Happy Smile Co. in Leavesden is pretty much a one stop shop, for not only your mental, physical and oral health, but also for your skin too. Holding fitness classes, offering facials, counselling, dentistry and more, what more could you need to make a happier, healthier you? The founder and lead dentist Dr Aakash Mavani is probably the nicest person I have ever met in my life. Never before have I started crying in a dentist surgery before.. but in a good way. 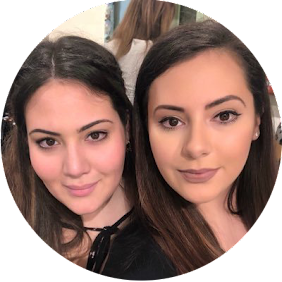 Being well versed in all aspects of the business, his experience with therapy and counselling as well as dentistry meant he was able to offer me some counsel as well as a teeth whitening solution. Long story short, I'd been going through some stuff at my old work with stress and trying to sort everything with the wedding, I was just overwhelmed and it all hit me at once so the "how are things?" question cracked open the bottle I'd stored my feelings inside. Aakash's kind words of support helped me tremendously. Back to the teeth whitening.. 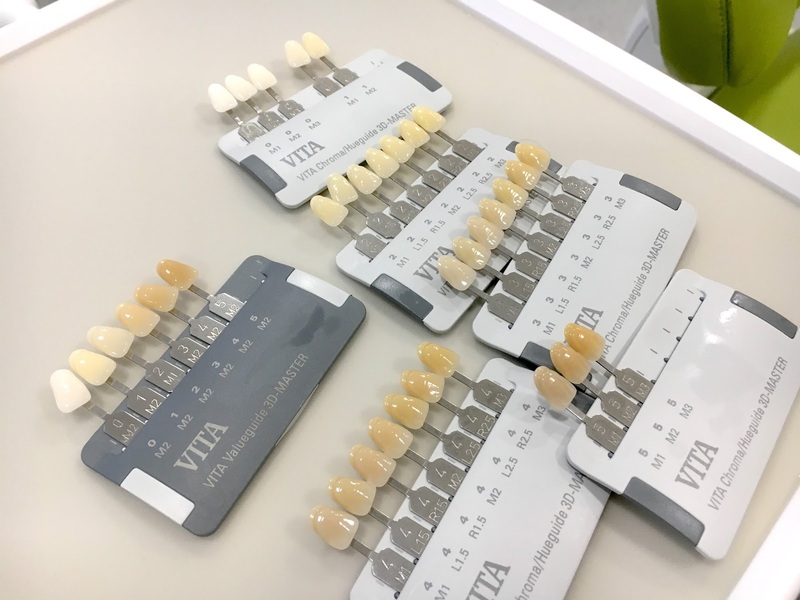 Promising to get me to the B1 shade of the VITA spectrum, I had high hopes for this whitening treatment from the very beginning. Aakash however had even better plans - to beat that B1 shade and go whiter! 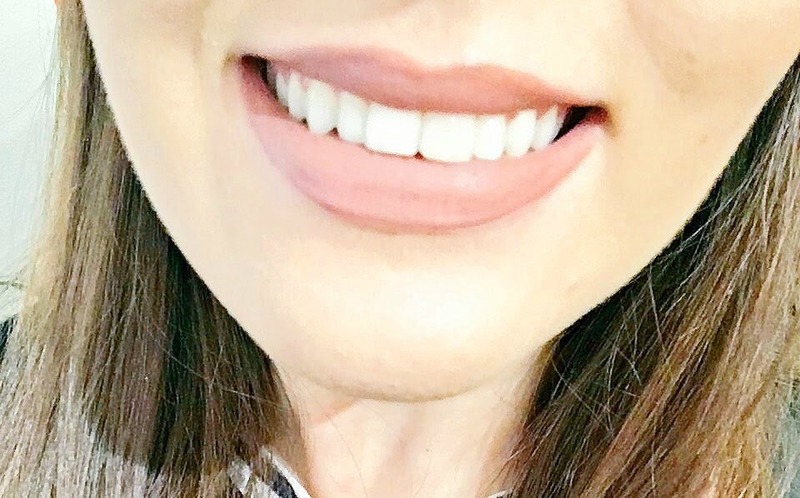 After assessing my teeth, checking for sensitivity, root damage and taking impressions, my first appointment showed a lot of promise and it got me so excited! As I'd hit my front teeth when I was younger and damaged the nerve of the left one (it was the one that used to stick out) meant that it may not be the same shade as the others after the whitening was complete, but he would do his best to get them as close as possible in VITA shade. The treatment costs upwards of £500 but it's so incredibly worth it! With all the care you get and the aftercare treatments, it's quite the worthwhile investment, especially if it means your happiness. 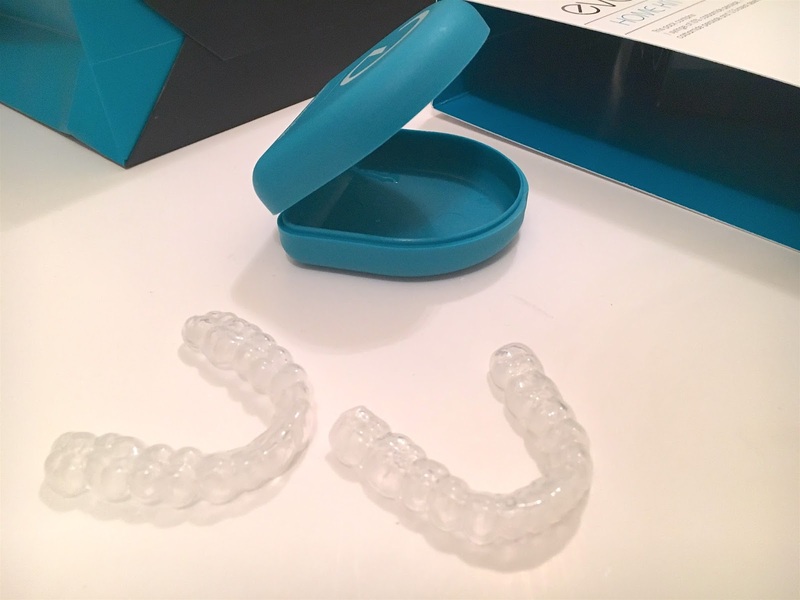 After just a week, I went back to collect my home whitening kit and make sure the teeth moulds fit snugly. 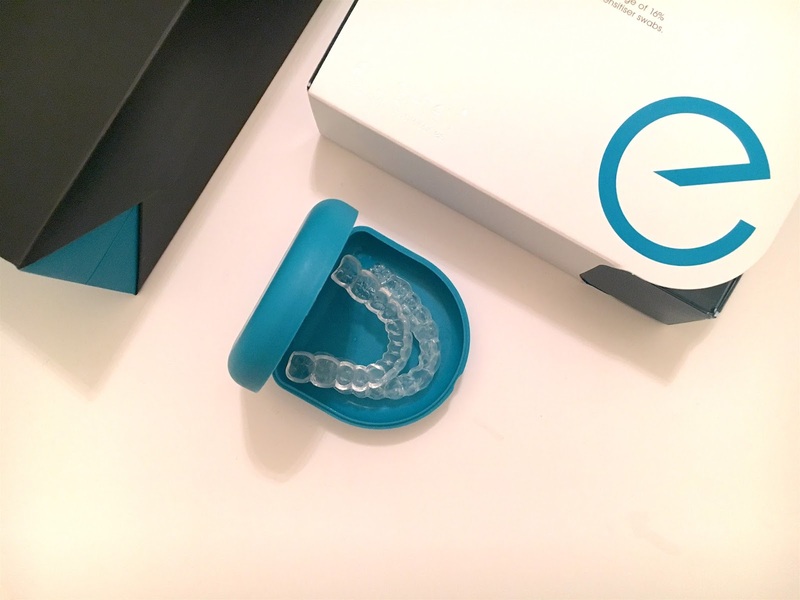 With a small pocket over each tooth to allow the whitening gel to sit perfectly over each tooth, the mouth guards are made of a super soft plastic that fit like a retainer to the top and bottom arches of your teeth. 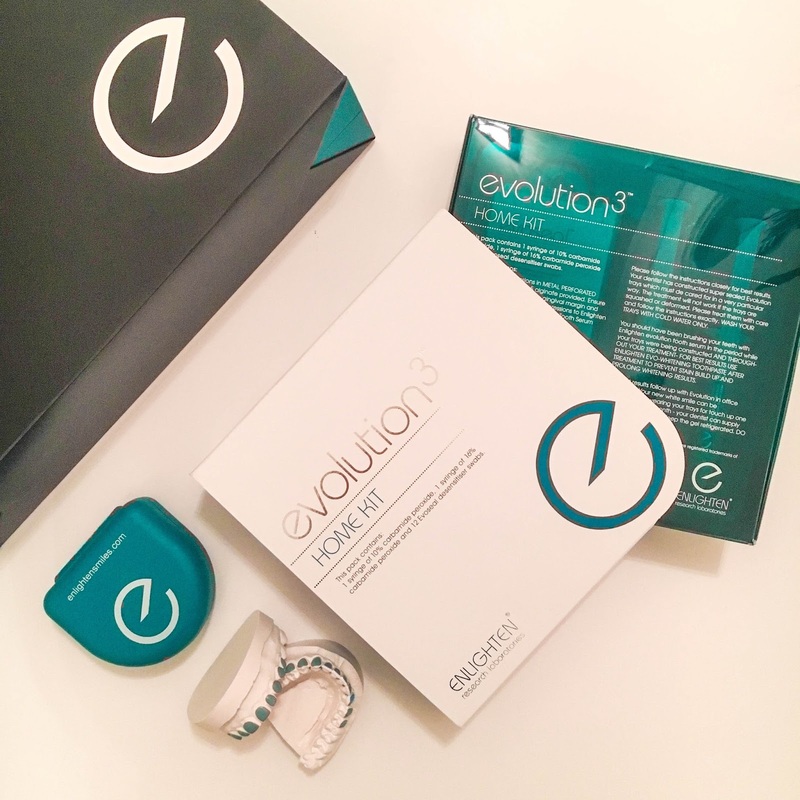 Also in the kit are the key essentials to the whitening process, the whitening serum. Containing two syringes, one 10% clear Hydrogen Peroxide, one 16% green Hydrogen Peroxide and a pack of de-sensitising swabs. 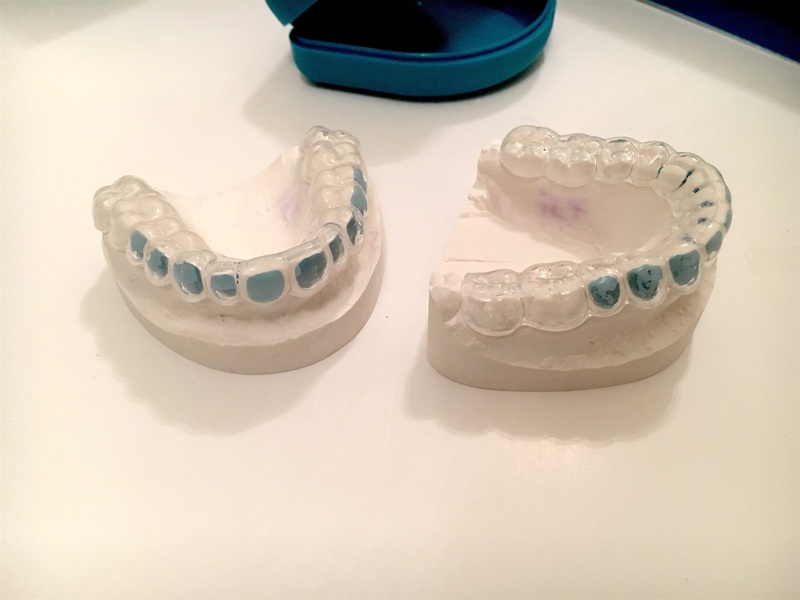 For one week, using 1ml per day, I had to squeeze some of the clear gel into the mouth guards on each individual tooth space and wear at night for as long as possible, brushing off the excess in the morning. The gel dehydrates the tooth a little so they did look patchy on occasion but evened out after a few hours. After the first week, I went back for a dental surgery visit to check my progress - I had already gone up by about 4 shades! 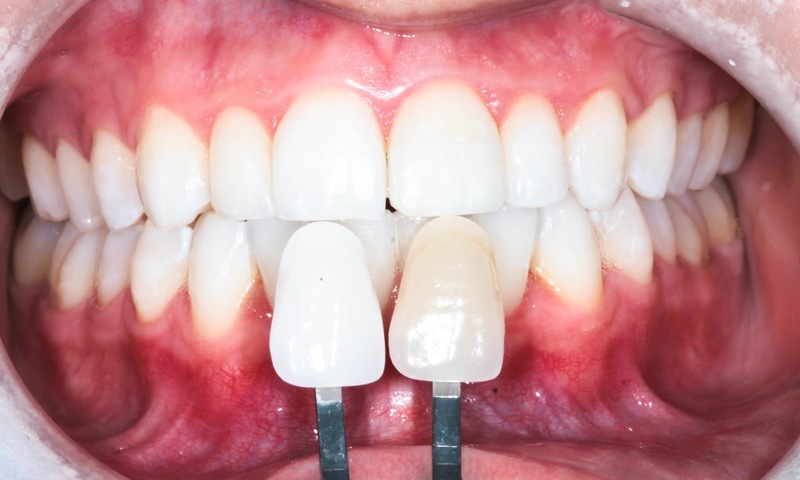 For another week, I had to use 1ml of the green 16% gel each day for a higher strength of whitening, this saw me another 2 shades whiter and I was amazed already at how glisteningly white they looked. Lipsticks popped brighter, I was smiling more and I was feeling so much better about myself. Another trip back to see Aakash and he again showed me the progress - I'd gone from a browny-yellow to a beigey-white, but the whitening didn't stop there. 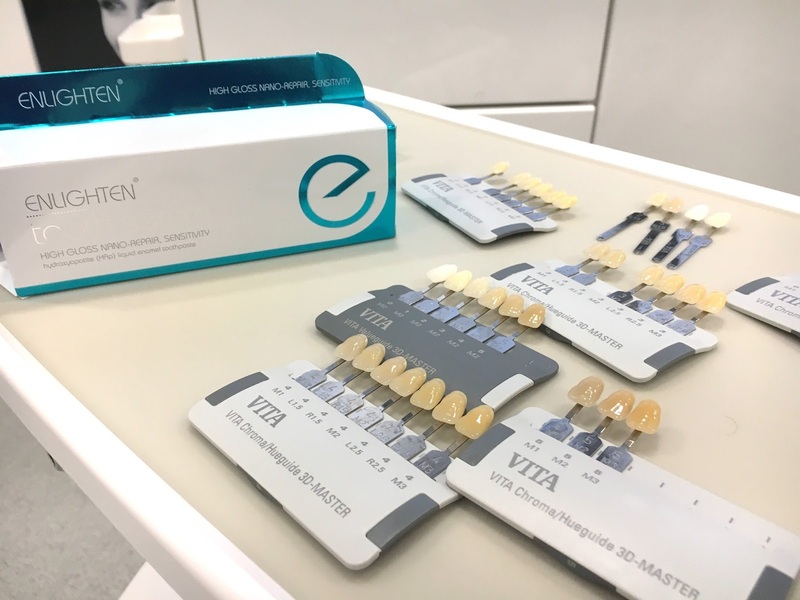 The final phase of the Enlighten teeth whitening treatment was the in-surgery accelerated whitening. Using 6% accelerated Hydrogen Peroxide, I sat for just under an hour for a final burst of whiteness. 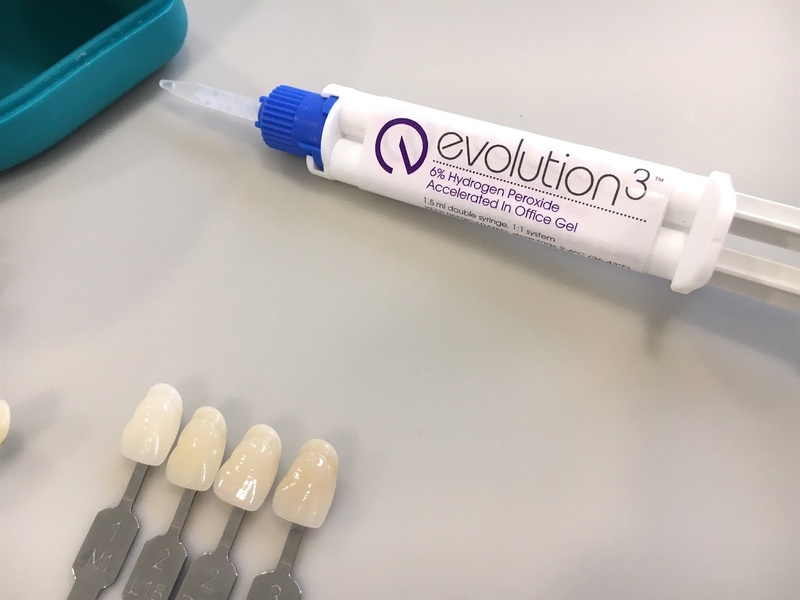 As this gel is extremely concentrated, the teeth were very dehydrated when the whitening was done, meaning they looked quite patchy, so the images of my teeth below aren't quite as white they were after the dehydration subsided! On the website it mentioned the use of a laser to lock in the whiteness after this final bit of whitening - but I don't recall ever having that done. As my wedding was just a few months away, Aakash offered to give me another little boost before the big day to make sure they were super white, he even gave me a complimentary clean and polish, which was so kind! He then gave me another syringe of whitening gel for top ups later on, but I went through that after a couple months as there are only 7 uses in each one. 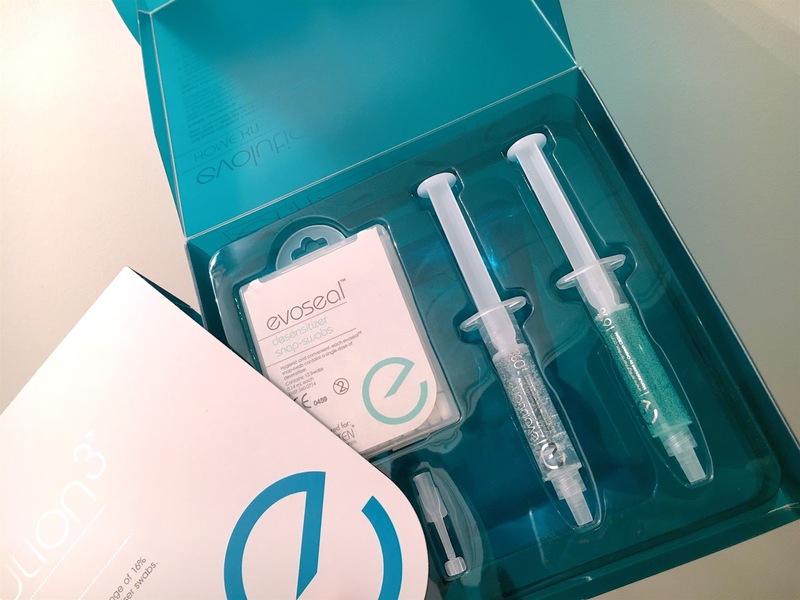 To use alongside the kits, I was also given two toothpastes, one to enhance the whitening and another to help with the sensitivity, which helped tremendously as they could get a little sore after a few days. After my final visit, Aakash showed me my final VITA shade. Because he was using a different VITA scale than Enlighten, I'm not entirely sure which shade I actually reached, but he said it was whiter than the B1 the treatment promises. 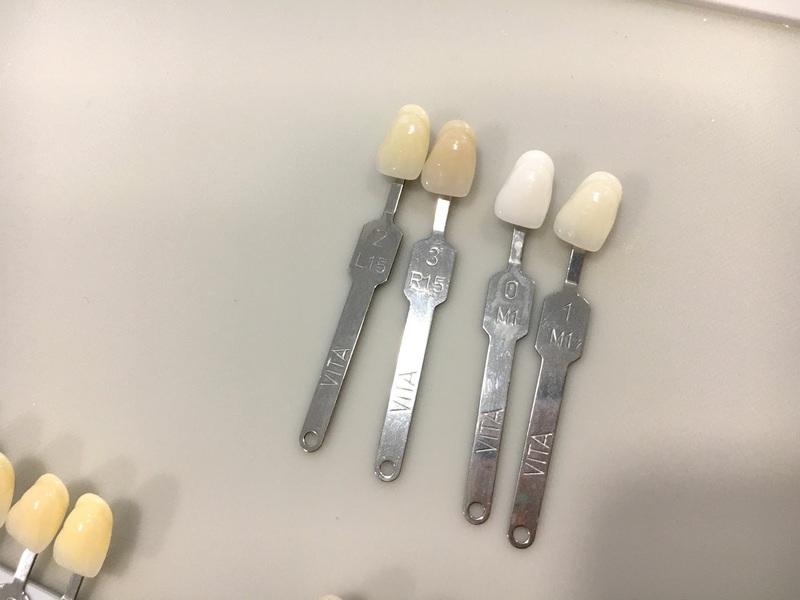 As you can see in the image below, the two shades on the left where what my front teeth were at the beginning of the treatment. The white shades I ended up with can be seen on the right. Can you see the difference?! It's amazing! I cannot thank Enlighten and Aakash enough as I was able to smile on my big day where I wouldn't be able to before. 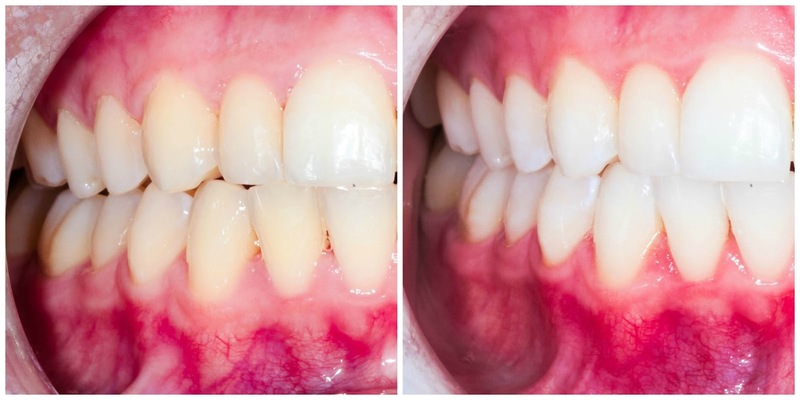 The treatment was quick, easy and so far, quite long lasting, though does require some top-ups due to constant consumption of food and beverages that stain the enamel (diet coke!). The Happy Smile Co. is a fabulous dental surgery and Aakash is a great dentist, I just wish it was closer to my home so it could become my regular dentist. Now, as an ambassador, I literally haven't been able to stop raving about the treatment to everyone I know! Not quite Miley Cyrus white, but I'm pretty much there and now I can't stop smiling! 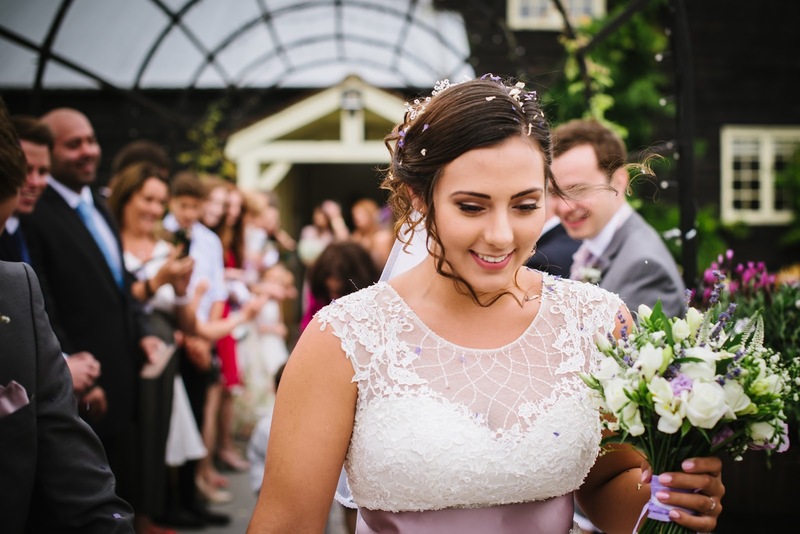 Here's one of my favourite shots from my wedding last month with my favourite new accessory - my smile! What's one thing would make your wedding day perfect?